Residents in Dewsbury have been thanked by authorities after demonstrations in the town came to a peaceful conclusion this afternoon. West Yorkshire Police and Kirklees District Council have thanked communities in area for carrying on as normal, using town centre facilities and shops, and not engaging with protestors during demonstrations during this afternoon (Saturday). Around 120 Britain First members protested near Old Town Hall Street, while around 80 counter protestors attended a separate event on Long Causeway. Both concluded at about 4pm. No arrests were made at either of the demonstrations. One man was arrested earlier in the day for assaulting a police officer at Dewsbury Train Station and remains in custody this evening. 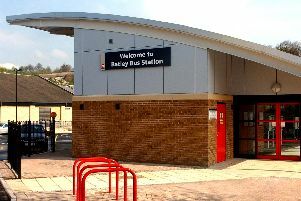 Four men were also arrested at Barnsley railway station by British Transport Police for racially aggravated public order offences, in connection with the Dewsbury event. A small number of road closures were put in place during the march to allow it to go ahead safely. Chief Superintendent Steve Cotter of Kirklees District Police, said: “Both today’s demonstration and counter demonstration have passed off peacefully.